The links above provide thumbnail biographies of members of the Huntington family whose letters are collected and transcribed in this project. The Porter-Phelps-Huntington Museum offers more information about all six generations of the family to live at Forty Acres, as does the finding aid for the Porter-Phelphs-Huntington Family Collection, at Amherst College Archives and Special Collections. 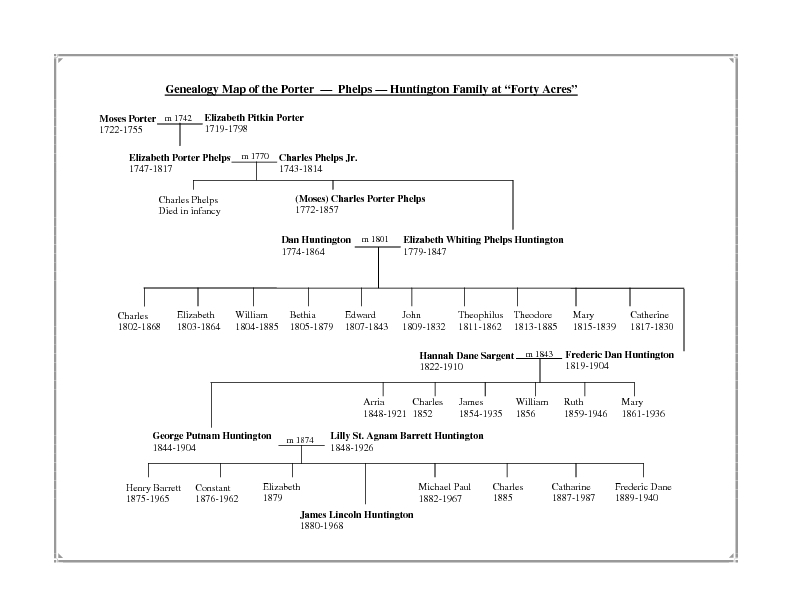 Family Tree of the Porter-Phelps-Huntington family at "Forty Acres"